Welcome to the Glenartney Deer management Group (GDMG) Web Site. On this site you will find information about the Group as well as a copy of the Deer Management Plan which was adopted in 2016. The Group welcomes feedback and comments on the Plan. Please send comments to the Plan Consultant Dr Linzi Seivwright at linzi@caorann.com. Should you require any further information about the group, please contact the Group Secretary Michael Aldridge at Michael_aldridge@drummondestates.org.uk. 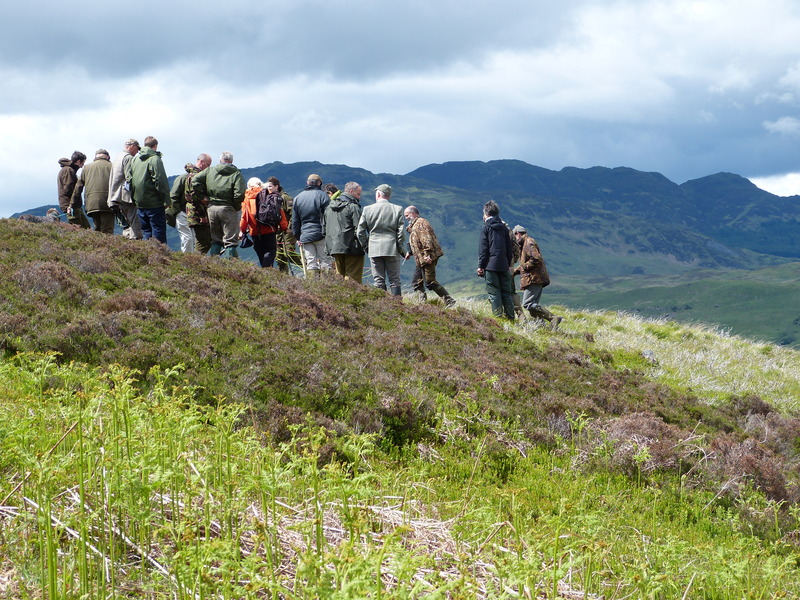 The Deer Management Group lies in Central Scotland but spans the Regions of both Stirling and Perth & Kinross. 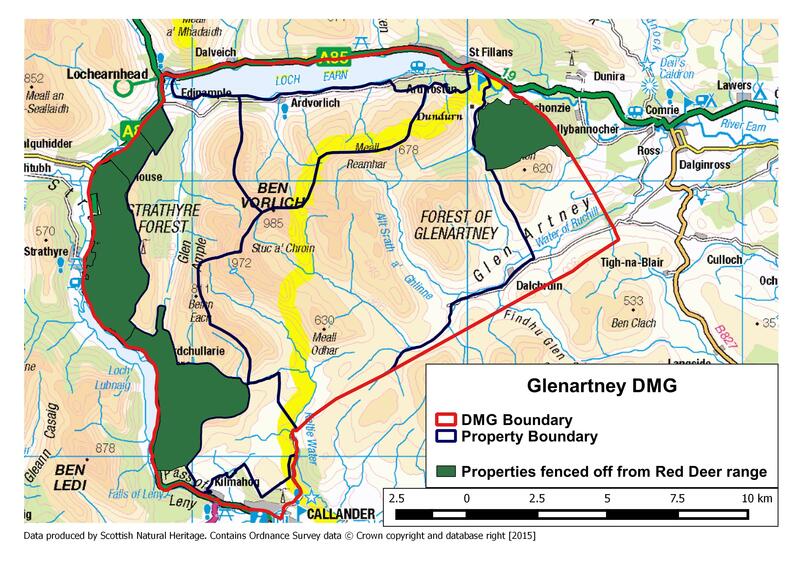 The DMG covers the area to the south of Loch Earn and to the east of the A84, extending as far south as Callander. The Group boundary lies partially within the Loch Lomond and Trossachs National Park and contains the popular Munros of Ben Vorlich (985m) and Stuc a’ Chroin (972m).